I'm taking a deep breath to tell you this…I'm going to be a teacher. Gasp. Shortly after we moved here in June I found this wonderful store. I couldn't believe my eyes. I have ordered online from Pink Castle but didn't look at where they were located. Well, about ten minutes from my new house to be exact. 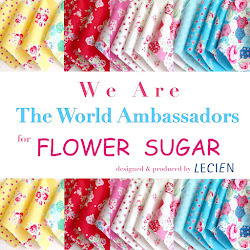 It's the first time I could touch Kokka and Lecien in person before buying it. The fabric selection is awesome. Check out the store here. While you are on the site, look at Camp Stitchalot, I think we should all go (look at the teachers who were there last week!). I will be teaching Beginning Quilting in September and will let you know when the info is available incase you'd like to join me. I'm feeling very hopeful today…and nervous! way to go Renee! don't be nervous. you'll do great! Congratulations! What a great opportunity for you to get to know the people in your area now. Yep, God is good! I am so happy for you Renee! What a great way to meet like minded people in your new town:>) You'll be great! Yay for you Renee. I am so happy for your new adventure. This may be just what you need right now. That is wonderful news! 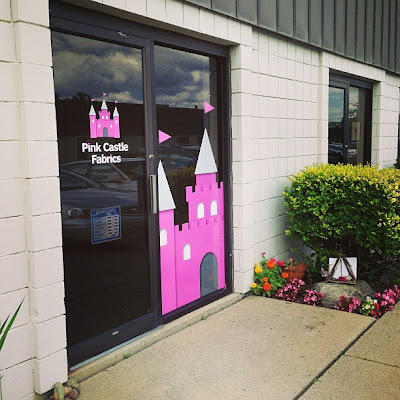 I follow Pink Castle and I think I have ordered from them...Really strange, I did not know they were here in Michigan either. I will have to check them out more closely. Oh my! An opportunity to learn quilting from YOU?! How wonderful would that be for me! I live about 37 miles away from there in Farmington. Keep us posted I am interested! Oh my...how exciting!! So happy for you!! Enjoy this new journey and don't look back! Oh!!!!! Congratulations! A dreamy job!